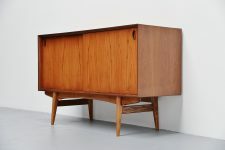 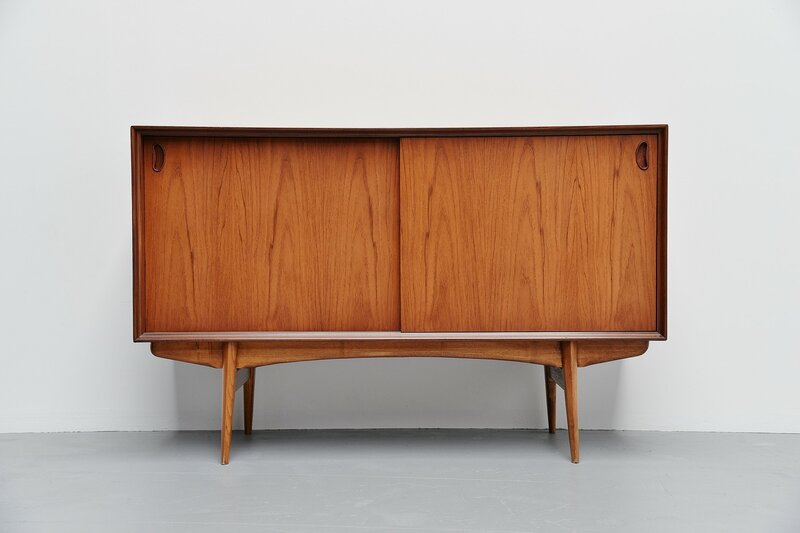 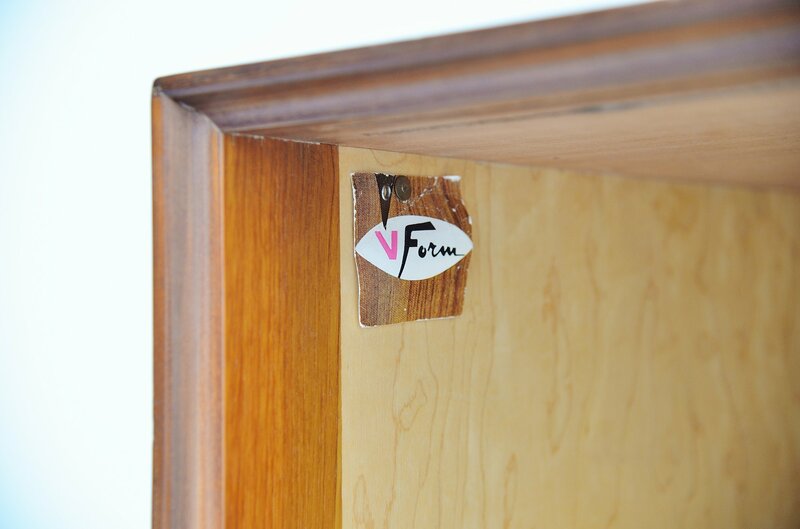 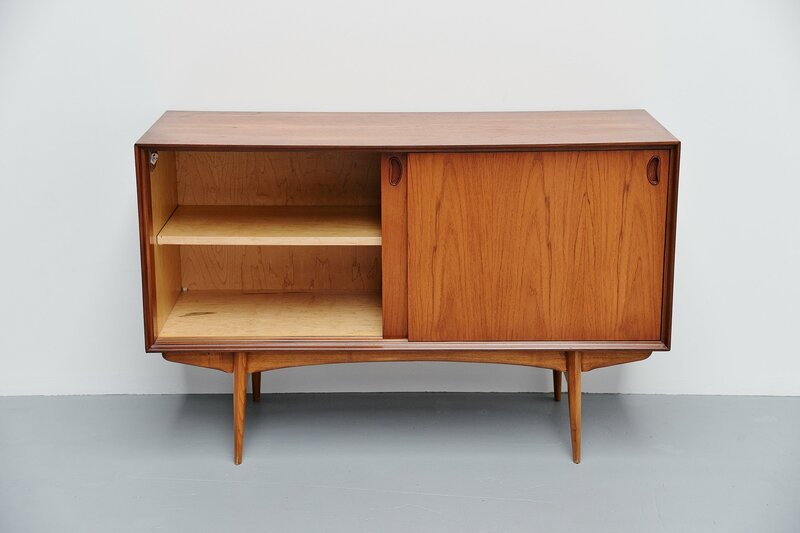 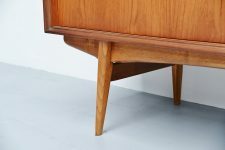 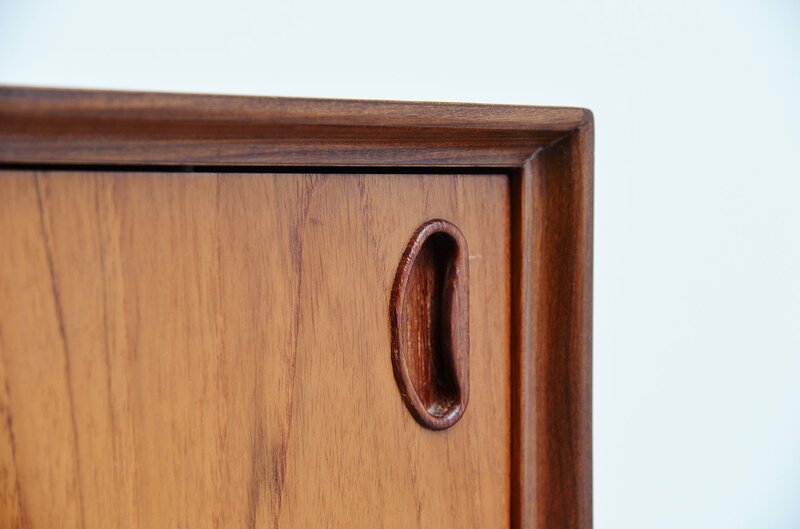 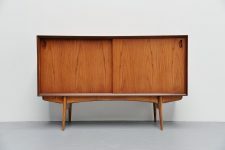 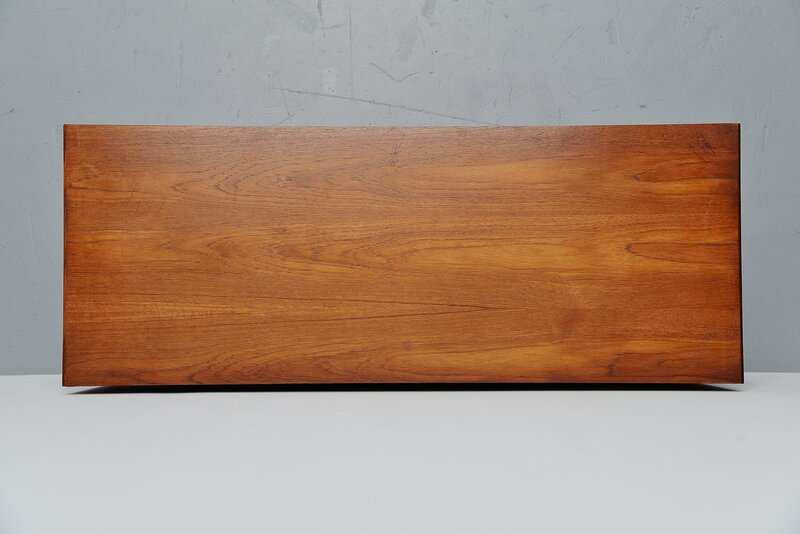 Rare small credenza designed by Oswald Vermaercke, manufactured by V-Form Belgium 1959. 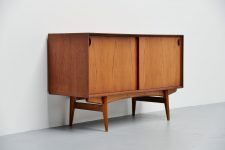 This credenza is from the Paola series designed bu Vermaercke in 1959. 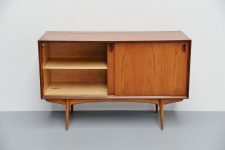 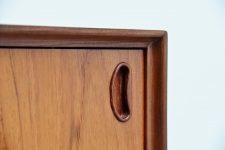 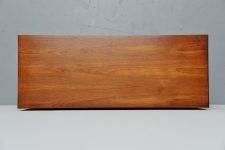 This is for an unusual small 2 doors credenza. 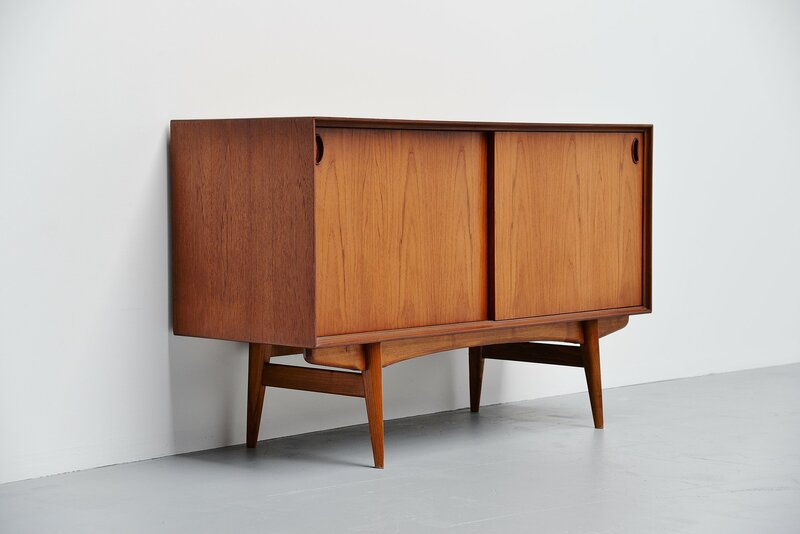 The credenza is made in teak wood and has 2 sliding doors with a shelve behind. The credenza is in good original condition with only very minimal wear due to age and usage, hardly visible.